Cleopatra Hospital Co has spent around EGP 148.23 million of the proceeds of its capital increase subscription worth EGP 700 million listed on 18 January 2018. The hospital has used around EGP 121.8 million of the proceeds to pay its first loan from the Commercial International Bank (CIB), as well as the subscription expenses of EGP 26.43 million, Cleopatra Hospital said in a statement to the Egyptian Exchange (EGX). The remaining sum of the capital increase subscription’s proceeds amounted to EGP 551.76 million, the healthcare firm added. 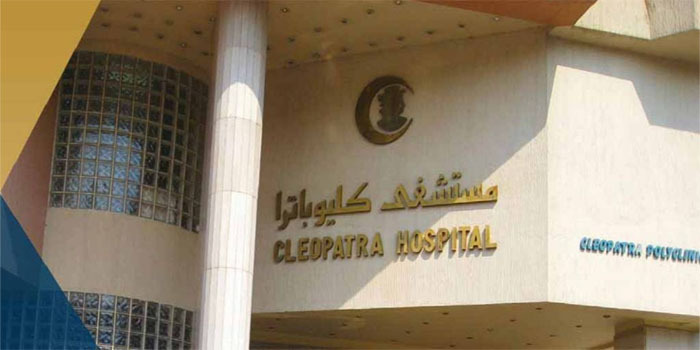 Onn Sunday, Cleopatra Hospital reported a 166.5% year-on-year surge in consolidated profits for fiscal year 2018, recording EGP 315.19 million, versus EGP 118.23 million in 2017. The hospital’s revenues stood at EGP 1.45 billion in 2018, compared to EGP 1.12 billion in 2017. Standalone profits reached EGP 204.25 million last year, versus EGP 82.54 million a year earlier.